In a split decision, the Federal Circuit has sided with the patentee Dr. Barry — affirming the induced infringement and $17 million damages judgments as well as several determinations regarding the public-use and on-sale statutory bars. The patents here are directed to spine surgery methods that involve large screws drilled into the spine. U.S. Patent Nos. 7,670,358 and 8,361,121. The facts are simple. More than one year before filing for the ’358 patent, Dr. Barry successfully performed his claimed surgical method on three different patients, charging each his normal fee. Dr. Barry’s method was thus prima facie “on sale” or in “public use” before the critical date under 35 U.S.C. § 102(b) [pre-AIA]. The majority added to these facts — that Dr. Barry was not satisfied that his method worked well enough until follow-up testing that occurred after the third surgery. Here, the patented invention is a method — and so cannot really be “on sale.” In addition, Barry’s pre-critical-date performance of the method was within the surgical rule where HIPAA and other privacy rules ensure that the method was not publicly used. However, one conflict was the extent that Barry was commercializing the the invention — with the idea that commercialization counts as a public use. In a footnote, the Court concludes that he did not “exploit” his invention prior to the critical date since he charged the same for his new surgery has he did for the old. Though earning his normal fees from the three surgeries [likely $$$$$], Dr. Barry did not “exploit” his invention as a means to attract the three patients for those surgeries or to charge more because he used his new technique. The jury could find that he would have gotten the same business, and earned the same fee, even if he had not planned to use or used the inventive process. There are a number of major problems with this conclusion from the court — likely enough to fill a law review article. Note here that in my original short explanation of this decision, I indicated that the invention “had been reduced to practice.” According to the majority, the invention was not reduced to practice because that requires a determination (by the inventor) “that the invention would work for its intended purpose.” In re Omeprazole Patent Litig., 536 F.3d 1361 (Fed. Cir. 2008). 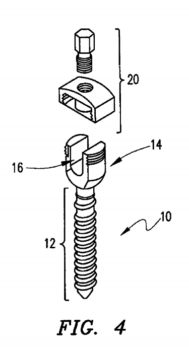 PatentDocs has now picked up this case – with a nice, albeit slightly different thrust. Did the Doctor tell the patients he was using a technique that he didn’t know would work, that he was experimenting on them? If he had, would he be able to charge his regular fee? Don’t you get a discount, or even get paid, when your used as a guinea pig? Was pre-approval for the experimental procedure gotten from the insurance companies involved? These are excellent questions Les, although the ethics of medical practice do not intersect cleanly with the patent law issue at hand. I’m only suggesting someone should have asked these during the proceeding. That second italicized paragraph is … bizarre. What difference does it make what price was charged? If he charged ten cents more than before, then he’d have been “exploiting” the invention? The difference (apparently) is that “the invention” is being looked at as a differential from the norm (and not in a vacuum). To that end, it matters everything the relative “exploitation factor” of the charged costs. This is not difficult — if you accept the notion of relative exploitation, with a focus on the innovation as not occurring in a vacuum, but instead occurring in the relative aspect of procedures already extant. Of course, this is a subtle nuance, and your bludgeoning cognitive dissonance may prevent you from appreciating this nuance, but there very much is a cognitive position that you have overlooked. I would add that in City of Elizabeth v. American Nicholson Pavement Co., 97 U.S. 126 (1878), the road in which the pavement was put down for experimental use was a toll road belonging to the Boston and Roxbury Mill Corporation, of which the inventor Nicholson was a shareholder and treasurer. The “exploitation” factor was present in that case, yet the experimental use exception still applied. The need to test the pavement’s durability in actual use outweighed as a factor any economic benefit received by the inventor from the tolls. Thanks Mark, as usual, Malcolm was basing his reply on feelings rather than reason. Not exactly. The patient could fully control and make public. The HIPAA only constrains the medical folk and is NOT dispositive as to the method itself. I think if you buy the jury’s factual finding that it was experimental use (and the Fed Cir finds sufficient evidence), then the method was not actually reduced to practice under Nicholson. Now, if there were a priority battle that rode on that, then the RTP date gets pushed back for the inventor and that could cost. But absent such a battle, then this is how the chips fall in an experimental use case. It’s not like there aren’t a ton of other examples, many of which are cited in the case. Would priority battles post-AIA push as you suggest (akin to a pre-AIA set of characteristics)? Date of invention is less important, obviously, but it’s still and issue. So, it might affect things if the filing date is before the “completion” of the experiments. RTP then moves to the filing date. More important, it would also affect things if someone ELSE filed first – you can no longer use those early operations as evidence of public use to put your prior art stake in the ground for the 1 year grace period. Your second paragraph is what I was aiming for (cannot use). that filing requires later completion to actually possess the (legally defined) invention — one cannot possess that which does not yet exist. The notion of “ready for patenting” necessarily cuts both ways. One possesses or one does not possess. And that, at the time of filing. …some may recognize the nuance here of one of the reasons just why we have the experimental use exception in the first place. Yes and no. The question is whether the filing then demonstrates RTP. I write about this a bit in my two articles on utility – because the invention isn’t complete until you show utility. But this is different from utility, which is apparent from the application. Here, the application describes exactly the experiment that was done, where, lo and behold, it works. So, the question will be evidentiary whether the “finalization” happened before the patent application or not. There are cases on this prior to the AIA, so it’s not like the courts aren’t equipped to handle this question. Nicholson, for example, was this case – it was experimental, but at some point he deemed it done enough to file, and the court doesn’t think it wasn’t completed. Pre-AIA and post-AIA does not change the requirement of possession at the time of filing. You possess or you do not possess. Your answer here seems to indicate two different “utilities” and two different possession states. That’s not how the law works (pre or post AIA). The Nicholson case (and no case that I am aware of) provides for such multiple utility/possession states (for an invention). You keep saying “possession,” but that word does not appear anywhere in the statute. An invention must be new, useful, and non-obvious, and at the time of the filing, the invention must be described and enabled. Pre-AIA, to win a priority battle you have to invent first, which means you have to conceive and reduce to practice, and the filing can be treated as a constructively reduction to practice if it describes and enables the invention. Right? Am I missing that? So, “possession” is just a way we determine whether certain inventions are conceived and reduced using the available information we have. I think what you seem to be saying is that if someone is still experimenting when they file, then they haven’t really finished the invention yet and so the filing is invalid. That would certainly be true if there were no utility. The part that’s more difficult is that because we measure constructive RTP on 112, if the patent in fact describes and enables the invention, even though the person is STILL experimenting, does that count as completion of the invention (what you seem to be calling possession). My gut says that courts will say YES, so long as the final completion matches what’s in the patent application. And, thus, the invention is complete at the time of filing with constructive RTP. Reply caught in the “do not have a dialogue” Count Filter. Apparently, rescuing replies caught in the Count Filter is not going to be undertaken. Perhaps then a reversion to at least showing the reply MADE but not posted could be undertaken, and some “self help” in order to continue dialogues then could be undertaken. Sure, but so what? The question is whether at some point after the experimentation, the inventor thought the experiment was done. With utility, a failure to be “done” at the time of filing is obvious. Either you know what your invention does or you don’t. It’s either inherently unbelievable or it isn’t. I suppose you are right that, in theory, an inventor could experiment, and then be wondering whether it really worked even while writing the method in a patent application. Every once in a while that happens, but it usually takes a finding that the patent was inherently unbelievable on its face (see, e.g., the Janssen galetamine case). Otherwise the inventor will just say, “Oh yeah, I was done when I filed” just like in Nicholson. The point is (as you came to in a different manner above) that one cannot have it both ways. One cannot have a reduction to practice at time of filing AND have further experimentation yet to do. Yes, there is often a constructive reduction to practice with a writing of an application, and yes, as you put it, submitting an application is tantamount to saying “I am done experimenting,” but look again at the context here (the immediate case and my comments): IF one is going to attempt to use the “I’m still experimenting” argument, then THAT “still experimenting” MUST be concluded prior to the critical date (the filing date) or you LACK something at the time of filing that you need to have. You cannot use the “still experimenting” when that excuse throws you from the frying pan into the fire. Much of this was put in the longer comment that remains caught up in the rather silly editorial “rule” of the Count Filter. As to “inherently unbelievable” – you appear to digress and go down a rabbit hole. As I have noted, there is NO multiple levels of possession (nor utility). You have it — at the time of filing — or you do not. Yes, something like a perpetual motion machine which on its face lacks utility, and THAT would be easy to spot, but that does not change the fact that you have to possess utility AT THE TIME OF FILING (whether or not you have something easy to spot as lacking utility). There is NO “pass” for lacking utility, but not easy to see that you are lacking utility. Very close — my emphasis is a little different (as was explained in a comment still sequestered under the “Count Filter” editorial control mechanism. I think if you buy the jury’s factual finding that it was experimental use… [A]bsent… a [priority] battle, then this is how the chips fall in an experimental use case. Agree 100%. I think that Judge Prost’s dissent may have the better argument on “reduction to practice” and “ready for patenting,” but that is all beside the point. The “experimental use” conclusion negates a necessary element of either “on sale” or “public use.” One way or the other, the CAFC majority got the ultimate conclusion correct here. Public use is public use. The on-sale bar is NOT about public use, it’s about equitable estoppel against the inventor. Which means that the on-sale bar has sometimes been erroneously applied to capture situations in which the invention hadn’t yet been invented – the courts have, after the fact, looked backward and said “you sold or offered to sell the invention” even though it hadn’t been invented at the time. Here the inventor didn’t know whether his invention actually worked or not. He couldn’t have known until after he performed the surgery and followed-up (according to the CAFC decision, three months after the surgery). So it’s reassuring that two of the three judges didn’t take the bait, and said the on-sale bar doesn’t apply here. And that they likewise said the use here was NOT a public use. How long until Judge Prost retires? She had a nice long career picking up Sen. Hatch’s dry cleaning before she got to “judgin'”. Still not qualified for much else besides picking up dry cleaning. Who wants to bet this guy can practice before the CAFC? I’m curious though why AAA JJ isn’t pro-whamen here though. Seems like probably bigotry to me. I did not get that 6 – I got that this was directly related to the individual’s (lack of) capabilities directly. Prost has a p00r reputation. Some of the people I know that have dealt with the CAFC judges on a substantial basis only had bad things to say about her. And looking at her “legacy” of being the Chief Judge only reinforces the negative aspects. I haven’t had substantive business with her but when I talked to her she seemed pretty knowledgeable about the subject of patent lawl history though not as much as some others. Still, I’m interested to know what sort of topics you’re referring to. Also anon bruh, substantive matters must surely come much further down the ladder of considerations below the individual biological unit’s plumbing. Be careful to control your bigotry sir, and help out those near you to overcome their bigotry as well. My emphasis is quite the opposite of that word, so your admonition of “Be careful to control your bigotry sir,” is severely misplaced. Not sure what seems like bigotry to you. She’s grossly unqualified to be a federal appeals court judge in the area of patents. She’s not the only unqualified person, woman or man, to be given a lifetime gig as a federal judge. There’s several on the Supreme Court. But they do more than patents. They like to have a mix. Plus, as any leftist will tell you, having the correct plumbing and even remotely relevant training qualifies a given biological unit for any position in gubmit. Only bigots say otherwise. This is well known cannon of the leftist corpus of literature. It’s time for your ablutions sir. Bruh as soon as you can bring yourself to overcome your bigotry agin their fairer members you should consider joining their bar. It’s truly the coolest bar. ah, now I “get” your response above – you were playing the “I’m a leftist so I can pretend that reverse discrimination is not discrimination at all” card. OK – when you want to talk in terms of reality, let’s do that. No need for you to attempt the Leftist code between you and I. Your reading comprehension remains abysmal. At first I thought the same thing – but after seeing both comments by 6, I think that he was simply aiming at a different thing (he wanted to poke fun at the Liberal Left). He admonitions and overall dialogue with either of us suffers for his attempt to poke fun somewhere else, as his comments simply do not apply to you or I. The on-sale bar is… about equitable estoppel against the inventor. Hm, I expect that this assertion is correct in the sense that you meant it, but strictly speaking this is not altogether correct. The pre-AIA on-sale bar was both novelty defeating prior art against all the world (where the sale discloses how to make and use the invention), and an equitable bar against the seller (where the sale fails to make an enabling disclosure). It seems like all the world to me that the AIA intended to do away with the personal bar aspect of “on sale,” but the Supreme Court’s recent Helsinn decision indicates that they read the AIA not to have effected any change in “on sale” law. The logical implication of that is that “on sale” continues as both prior art and equitable bar, depending on the degree of disclosure achieved by the sale. Helsinn, of course, concerned a situation where the seller was also the patentee. I guess that we will have to wait for a situation in which the patentee is not the seller in order to be certain how the courts are going to treat that situation. No. There is NO way for that to be the logical implication. There are no more personal bars – regardless of what the Supreme Court says, they cannot rewrite the law to be as it was – which leaves these former personal bars to be ONLY (and fully) prior art bars. As noted in the Helsinn threads, this “simple” decision by the Court is not nearly as simple as they may have intended (or written) and the bottom line WILL have the necessary ramifications of that decision. If you “obtain your patent before the critical date” then you lack possession at the filing date.